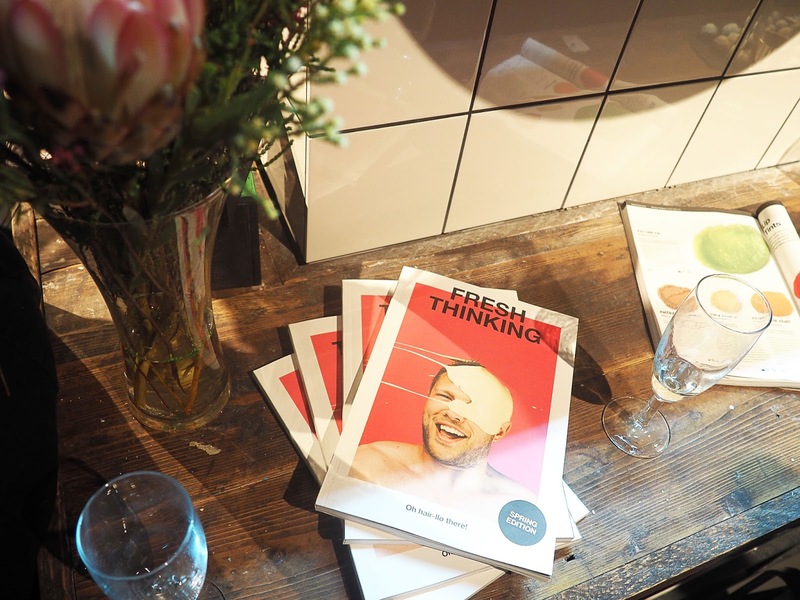 The feeling when your first blog event happens to be a Lush one, I was pretty frickin' excited to say the least! 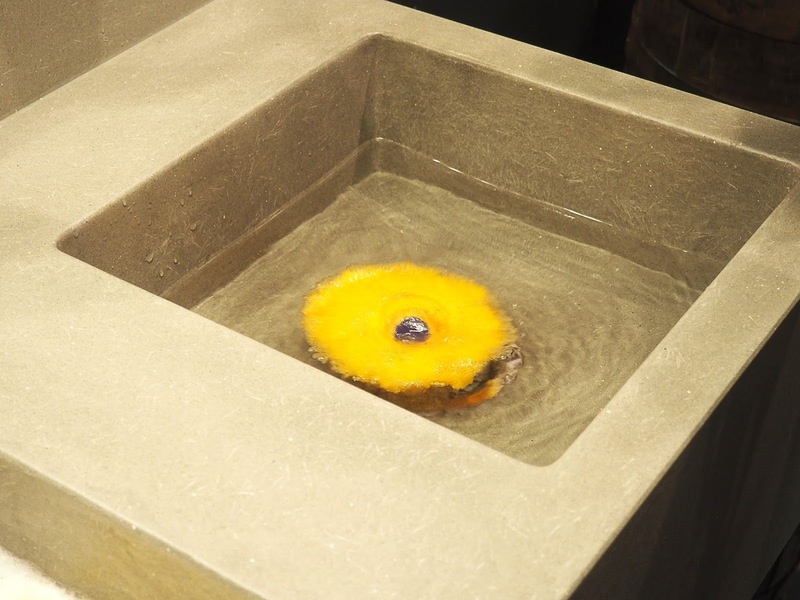 Beware of a very photo heavy post and lots of excited rambling about my experience at the opening of the new Lush store situated in the Manchester Arndale. 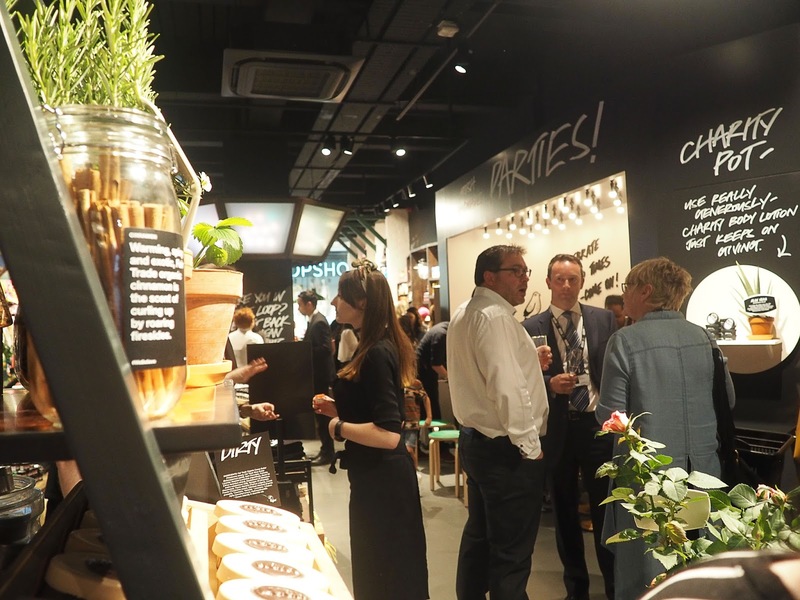 So I was invited along to the grand opening of the new Arndale store as they relocated to a bigger space. I met the lovely Caitlin and Hannah beforehand and it honestly felt like I'd known them for years, it's strange how bloggers just click! Off we toddled to the store and waited in a crowd of people in anticipation until 6pm. Once inside the store, we were greeted by champagne (which of course led me to having several glasses and ending up being a lil' tipsy), brownies, flapjacks and biscuits... Fine by me, I love me some food. We were given personalised lanyards which I may have got a bit too excited about, but forgive me it was my first event after all. After we were handed a basket to fill with goodies, it was off to explore the shop and meet the staff who seemed just as, if not more excited than us! 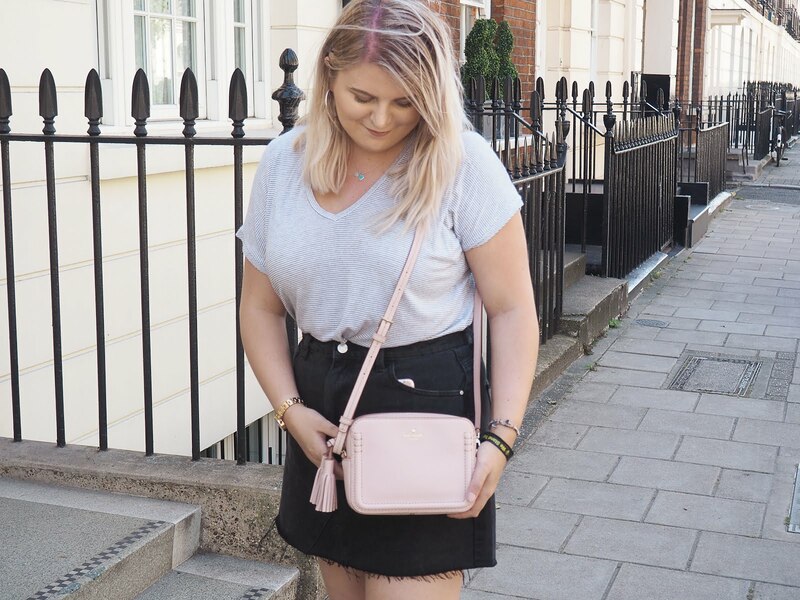 As we made our way round the shop, I noticed it has the look and feel of the Oxford Street store down in London, which anyone who's visited will know how incredible that store is. Quirky signs and shelves were situated all around us, and don't even get me started on the displays. 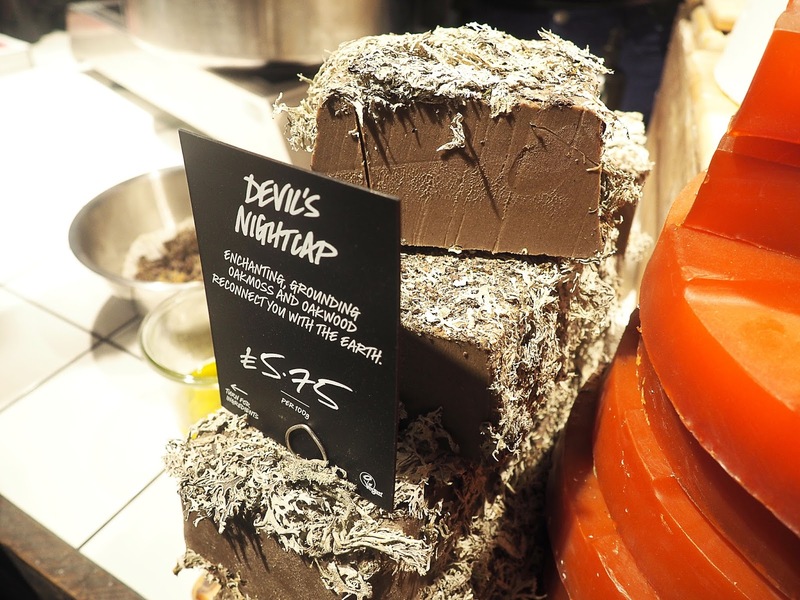 Lush gives me all the aesthetic feels. 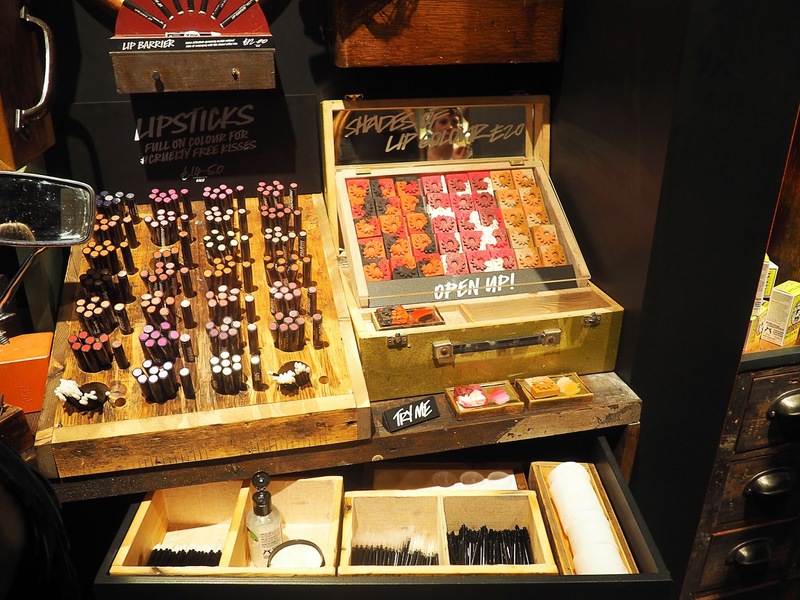 If I had to choose a favourite section of the shop, it's got to be the make up/skincare area. 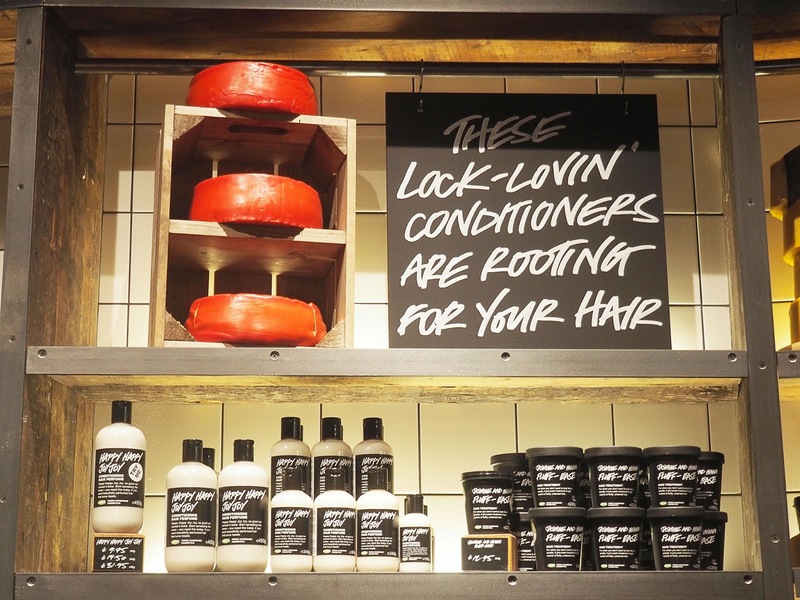 There's now space in the new store to get skin consultations and you're able to have in depth conversations with the Lush staff about what products would suit you. 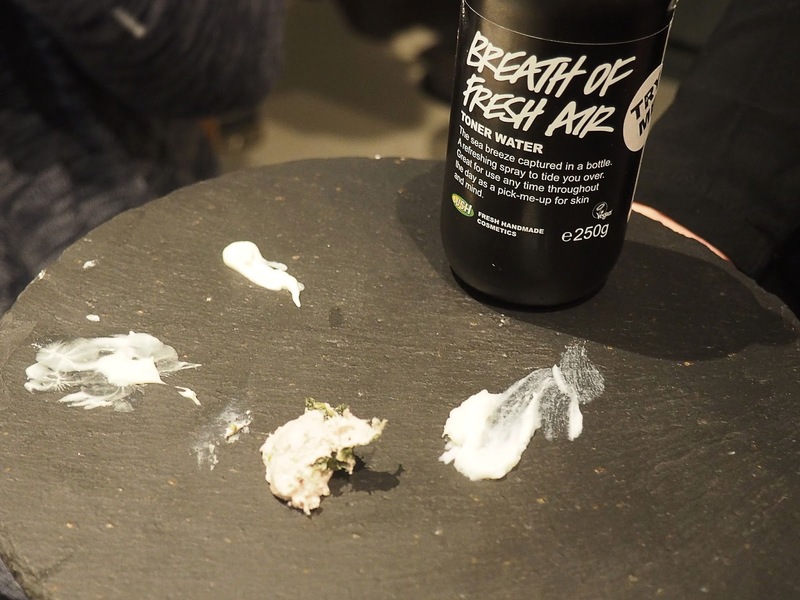 We were given a mini pamper session using a range of different scrubs and moisturisers, as well as having some of the eyeshadow pigments demonstrated for us. Let me tell you, they are beautiful. 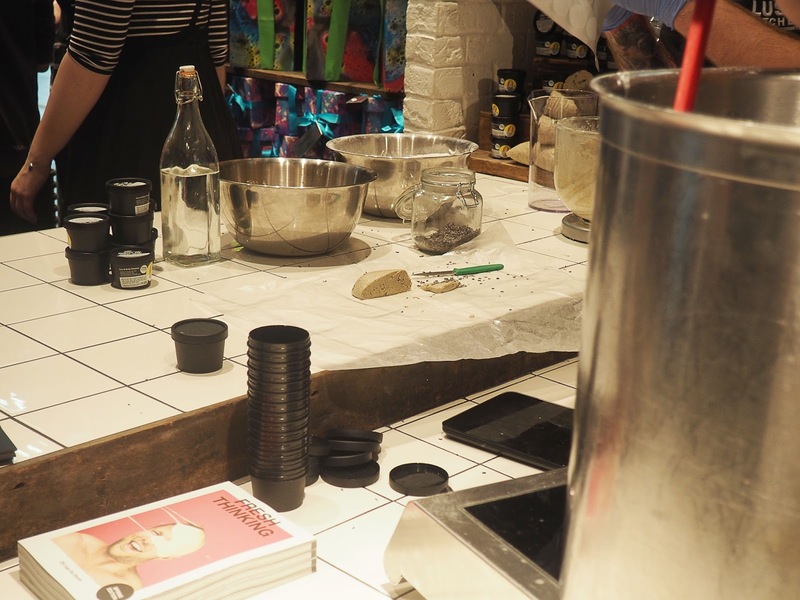 Of course it's nearly impossible to step inside a Lush store and not be amazed by all the product demonstrations going on around you, and last night was no exception! 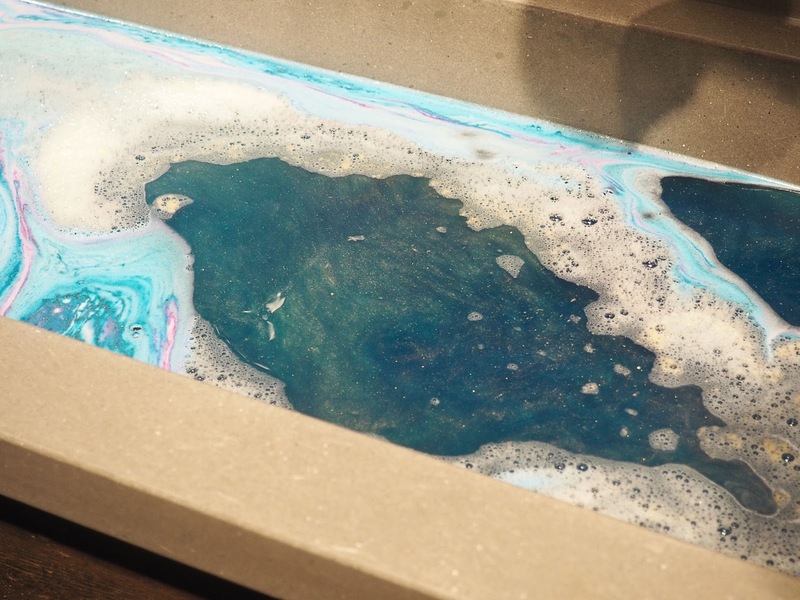 We were shown and told about different bath bombs and bubble bars that go amazingly together which I will definitely be trying at some point. 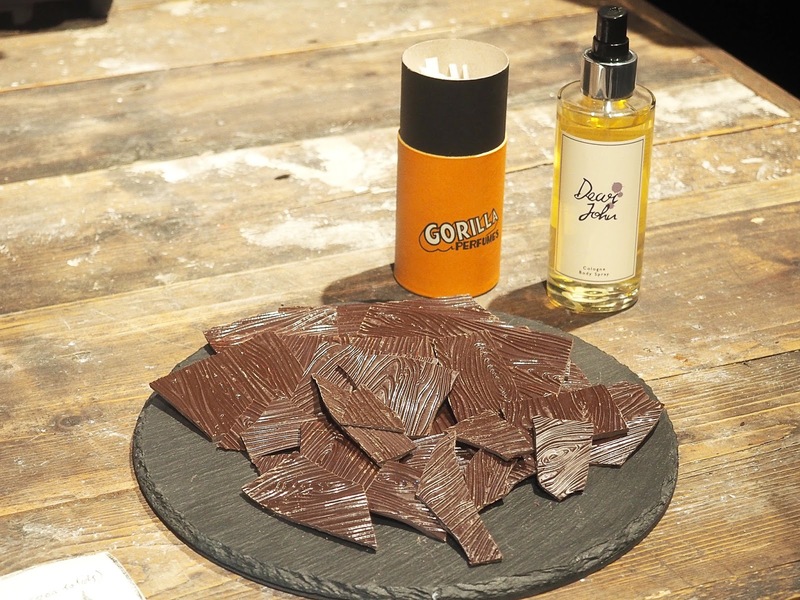 As we wandered over to the perfume stand, we were greeted by platefuls of chocolates... Which yes we did try, obviously. 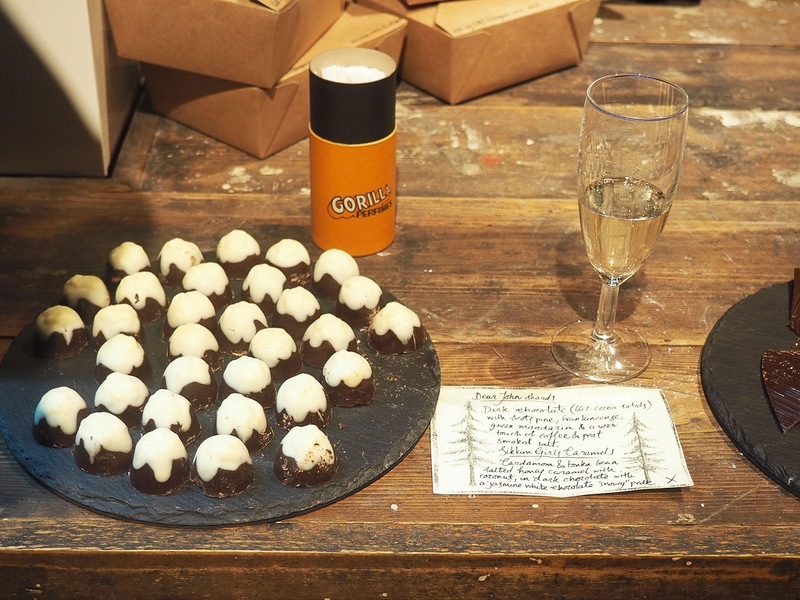 We were told the back stories of two of the Lush perfumes by a member of staff and how they were paired up with the chocolate we were about to taste, it was all super interesting and I love hearing about the concepts behind products. 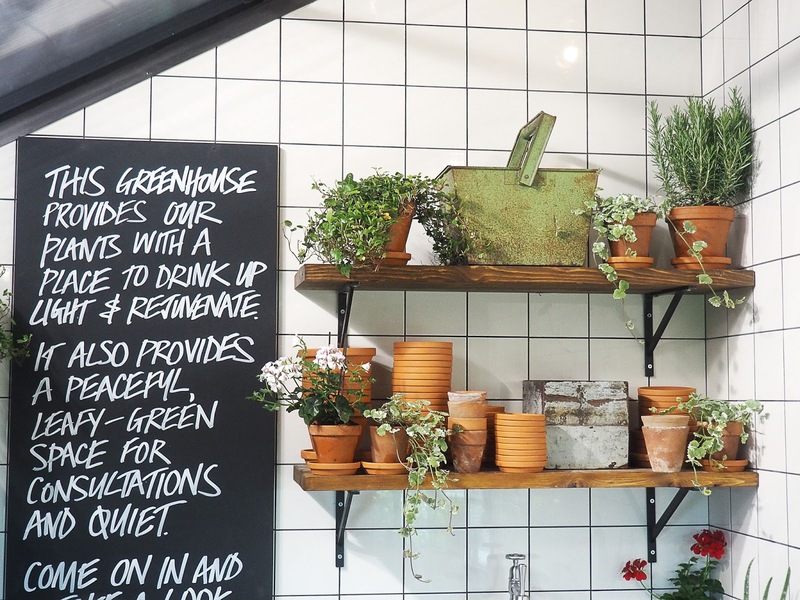 Last but not least, I can't finish this blog post without mentioning the two exclusive areas to the Arndale store, the Greenhouse and the Lush Kitchen. 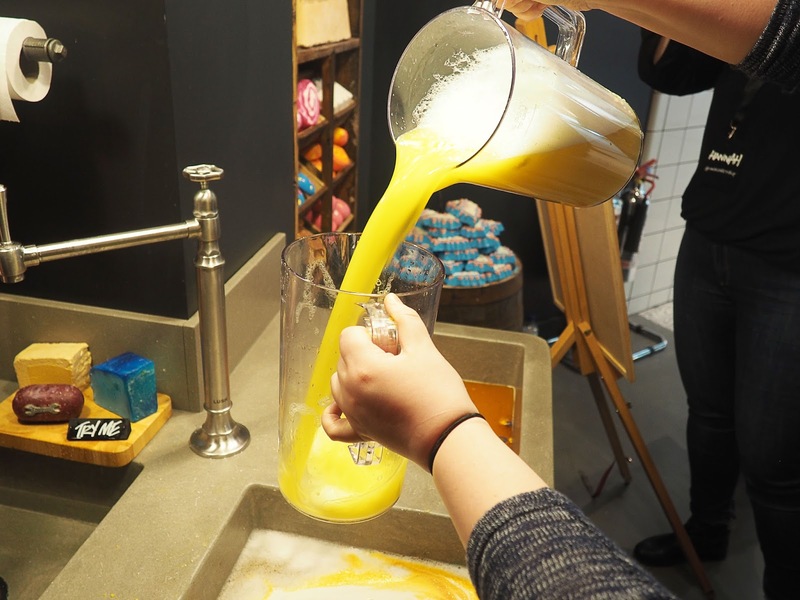 Now, I'm not sure if the Lush Kitchen was just there for last night and today (which is the opening day), but they brought actual Lush compounders in to make products fresh in front of us. We all got a tub of Angels on Bare Skin to try which I am very excited to use, it smells heavenly. 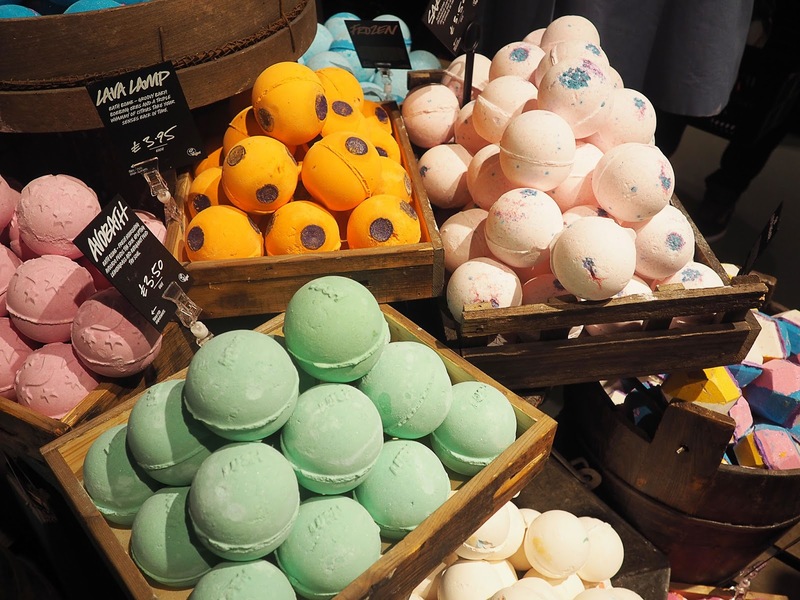 The Greenhouse is a whole new experience to Lush and is exclusive to the Arndale store, you won't find another one anywhere else! 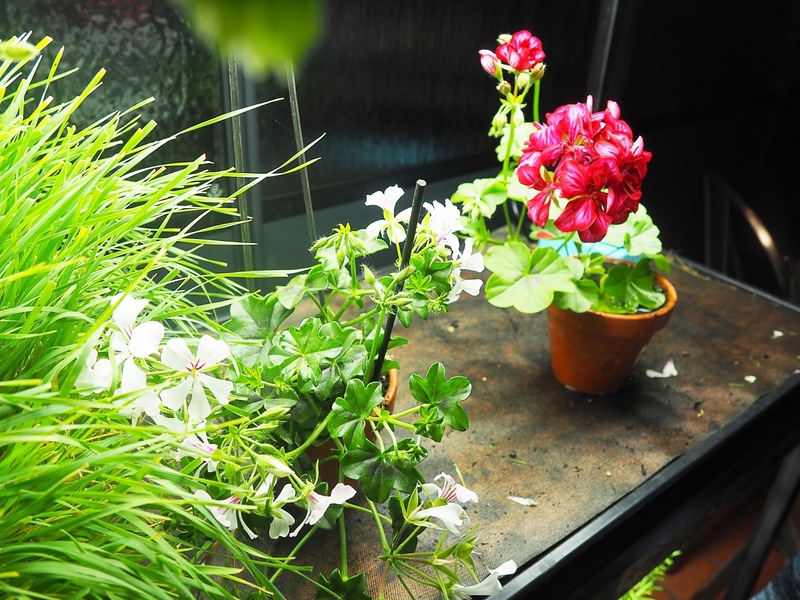 It honestly reminded me of a cross between a kitchen and a greenhouse that your granddad would look after, I loved it. 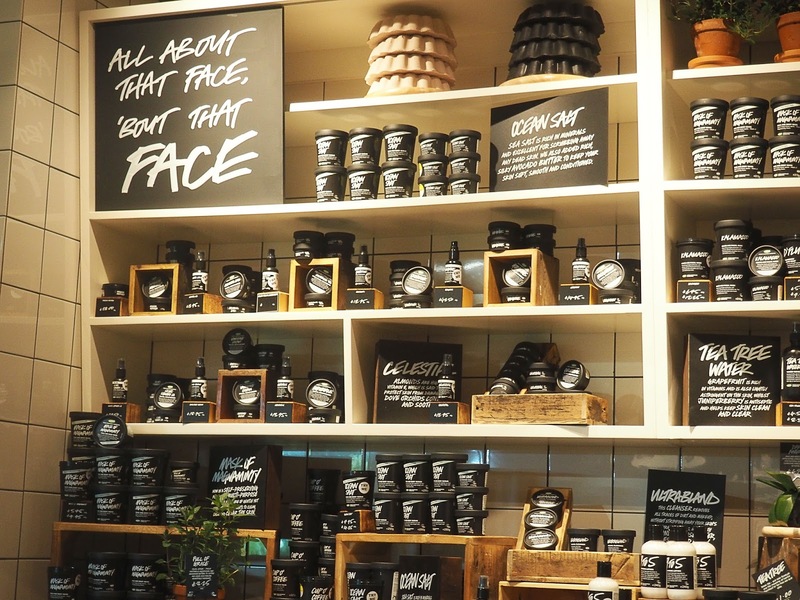 It's also extremely photogenic which is always a plus (but to be honest, the entire shop is photogenic). 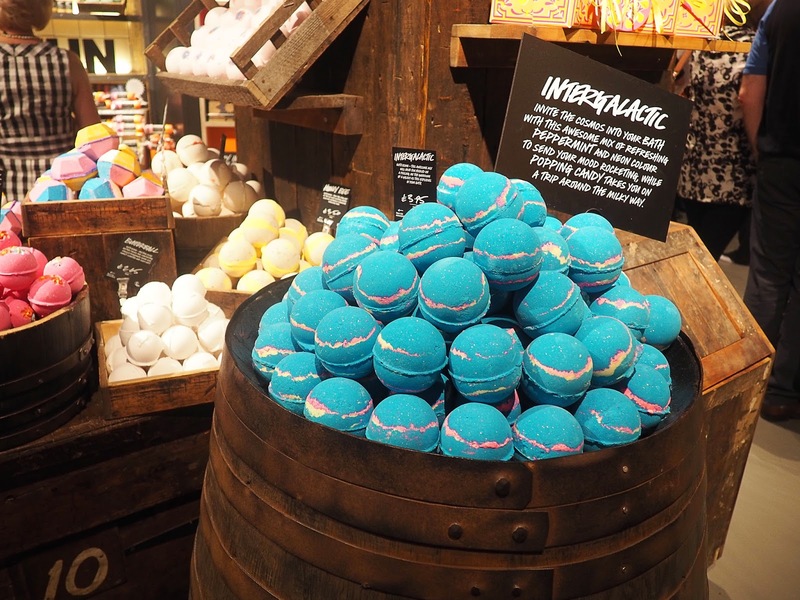 We also got the option of Sea Salt Spray or Hair Custard but I didn't pick either up, instead I treated myself to the Frozen bath bomb, one of my absolute faves. 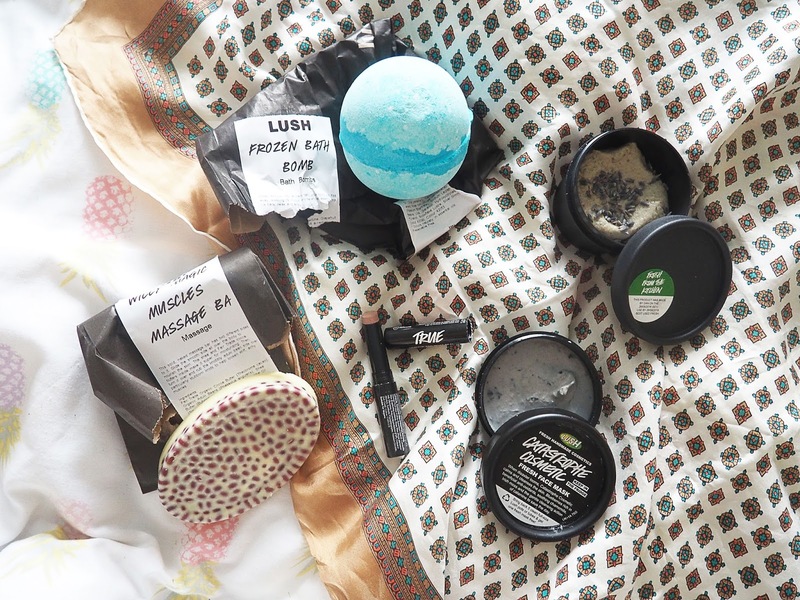 Our goodies also came with one of the famous Lush Knot-wraps which I'm definitely going to be saving for future blog photos. 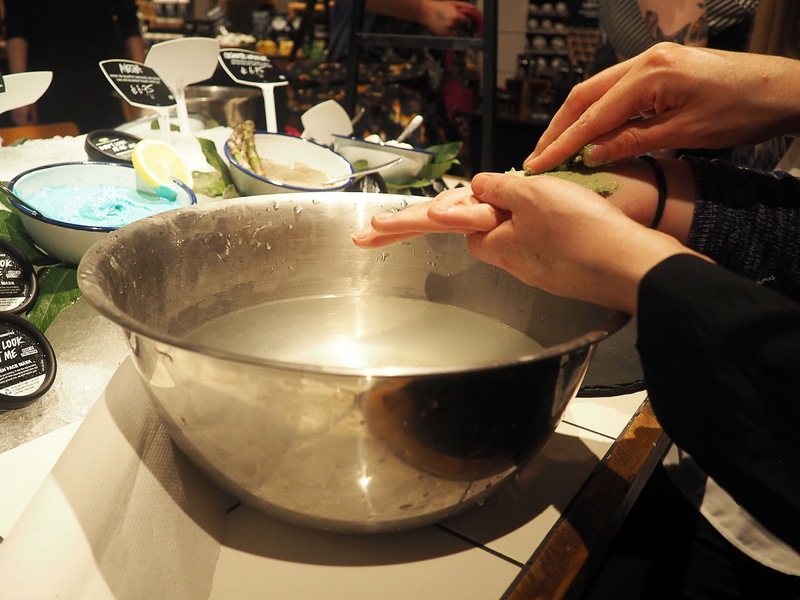 Thank you to all the fab, knowledgeable and ever so friendly staff at Lush Arndale for making everyone feel so welcome and for pulling off such a fun event! You can sure bet I'm probably going to spend half of my life in there from now on. Really want to go visit this store even though it's just opened up! Having the greenhouse right there is amazing. Glad you've had an amazing night, excited to see your first impression post! This looks like an amazing event! Slightly jealous...... Hahaha! Aaaaaah Kat I am so so happy you had an amazing time ! Slightly jealous I didn't get to meet you :(. 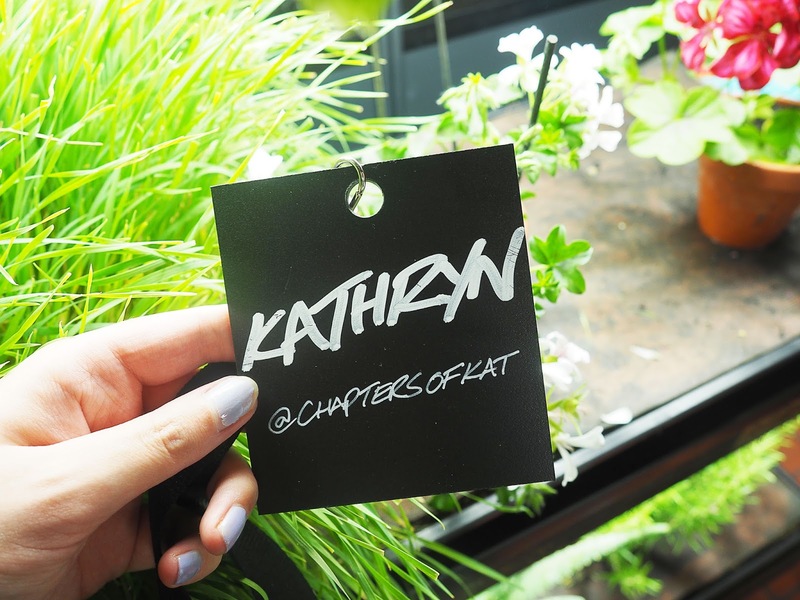 Your pictures are gorgeous.. and I completely agree that the whole store is just so so photogenic!! LOVE your goody bag too! 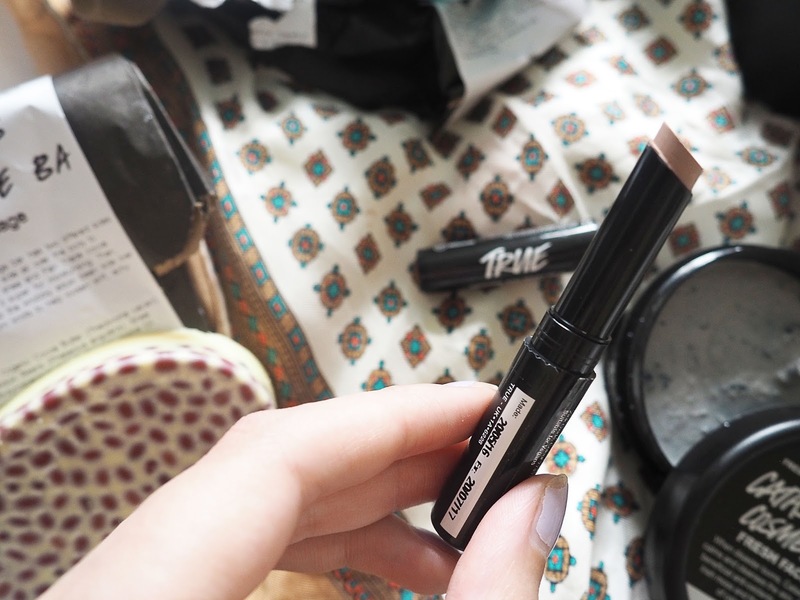 You picked up my favourite facemask too - it does wonders for your skin! OMG this looks so exciting! I'm glad you had such a good time. 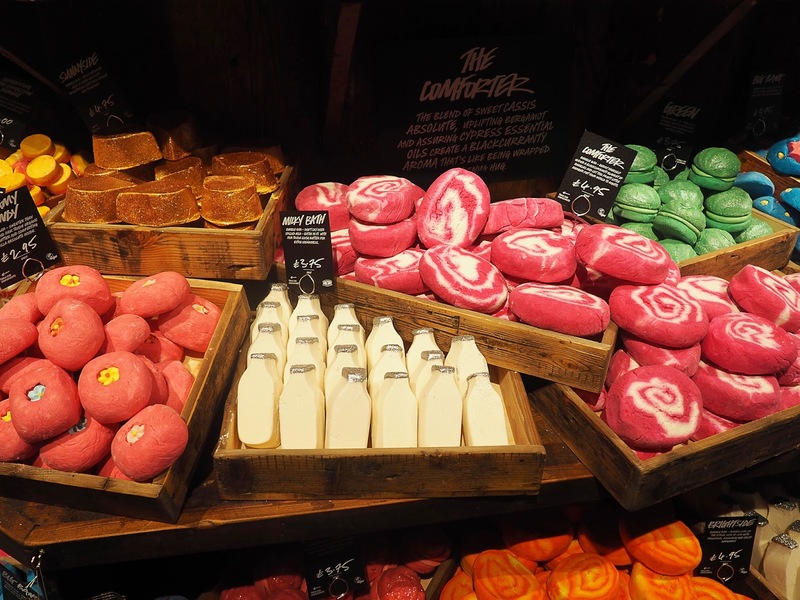 I love Lush so much I just want to eat everything! (although I know that's a terrible idea!) I'm looking forward to your first impressions post! 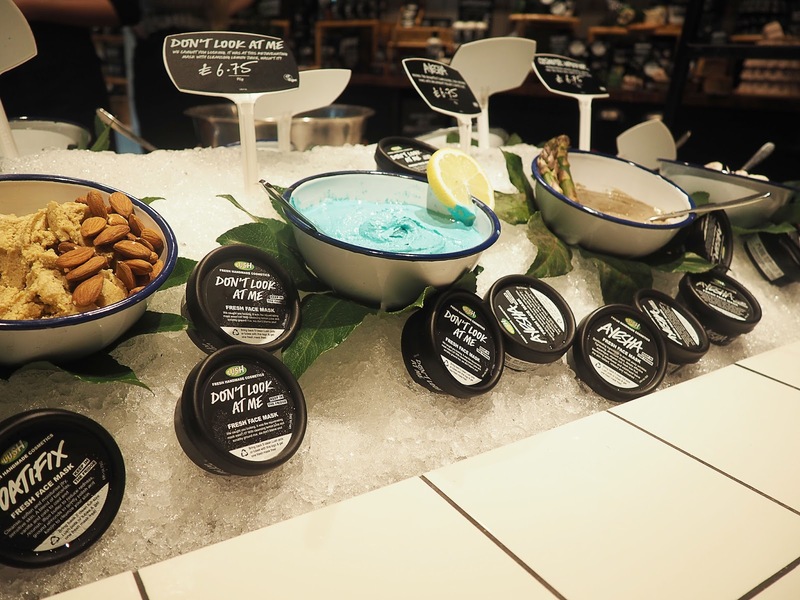 Such an incredible event (gutted I couldn't be there) and oh my word, all those Lush goodies <3 Lush Kitchen is a special place I'd love to visit one day & I adore the personal touch they did with the names & blog names <3 Too cute! 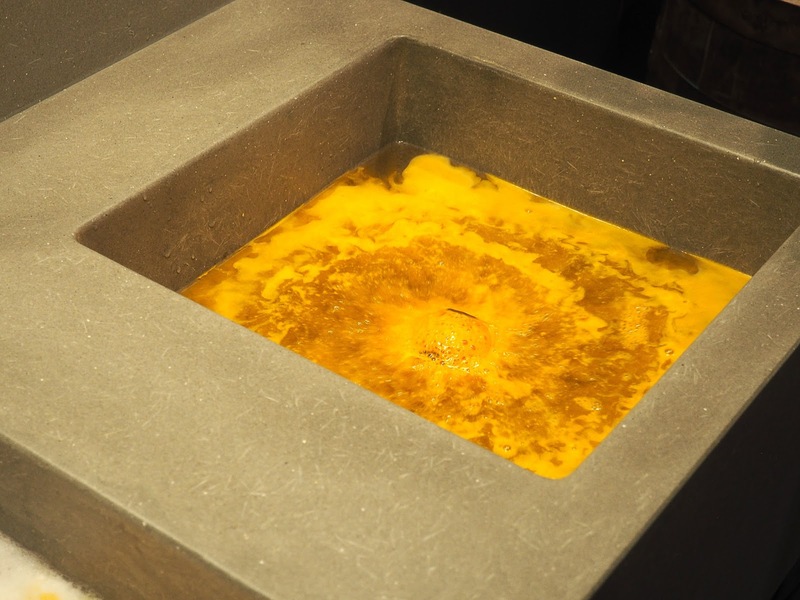 Oh it looks amazing! I still haven't been to see the new store yet - I really need to get that done haha. So many amazing goodies too!